Muffins are a perfect snack to pack into a lunch box or to eat on your way out the door! This easy muffin recipe is vegan, allergy-friendly, dairy-free, soy-free, egg-free, nut-free, and can easily be gluten-free and wheat-free. That’s why I make double, sometimes triple, batches of muffins and freeze them for later. 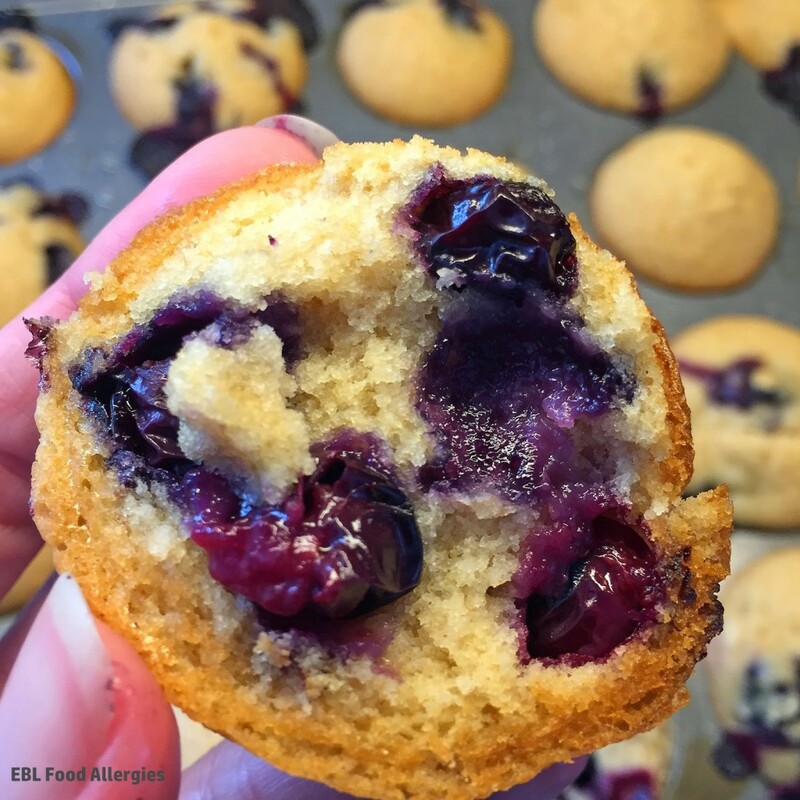 Today’s flavor is blueberry because who doesn’t like a good blueberry muffin? 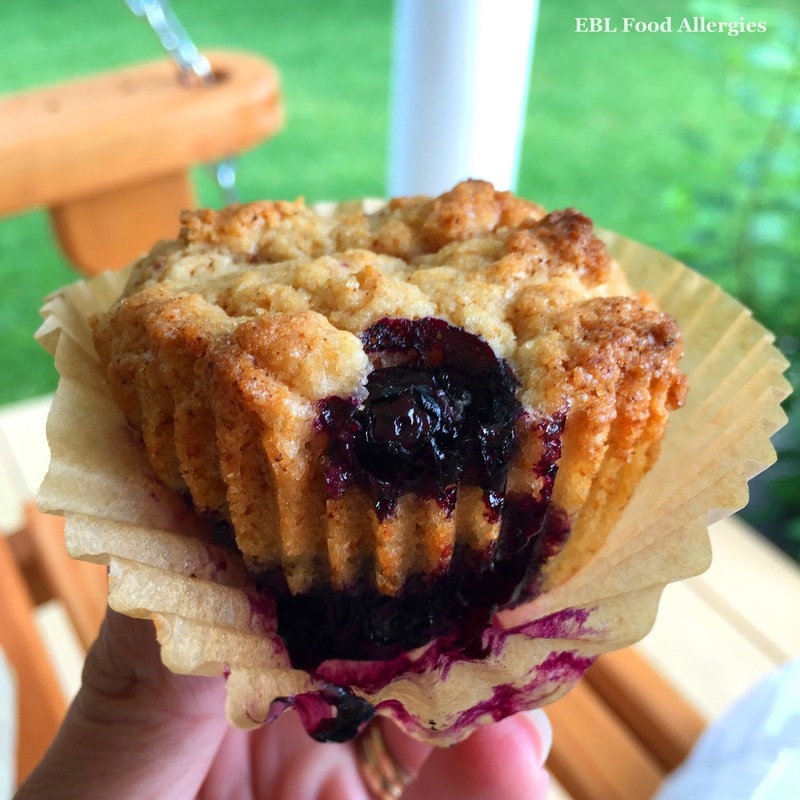 This Allergy-Friendly Blueberry Muffin recipe is dairy-free, soy-free, egg-free, nut-free, vegan and still tastes AHmazing! You won’t be disappointed! Also, make sure to use muffin liners! The sugar from the blueberries will stick to the pan if you don’t! Add oil into a one cup measuring cup, add mixed egg replacer, then add enough rice milk to fill the one cup (approx 1/3 cup). Fill muffin liners 2/3 of the way full and bake for 20-25 minutes. Cool in pan for five minutes before moving to a cooling rack.